If you’re looking for a great summer road trip ideas, then you’ve landed on the right page! The Pacific Coast Scenic Byway offers the ultimate Oregon adventure, and this route even includes a stop at the most romantic B&B in Cannon Beach. Drive along some of the most jaw-dropping vistas on the coast, explore the quaint coastal towns, experience the local culture, and spend quality time with the one you love. After all, our bed and breakfast is one of the top romantic destinations in the country! Before you start planning your visit, download our free Vacation Guide. It has great recommendations for local restaurants, events, shops, museums, outdoor adventures —everything you need to spend the ideal vacation. The Pacific Coast Scenic Byway encompasses 383 glorious miles of ocean views, starting from the northern tip of Oregon’s coastline all the way to the California border. As you drive along the coast you’ll see rugged headlands, pounding waves, easy to access sandy beaches, old growth forests, tide pools, and quaint communities with their own unique blend of character and coastal charm. Take a look at some of our favorite stops below and make your own itinerary! Astoria is a must-see, especially if you’re driving down from Seattle. You can satisfy the movie buffs in your group by visiting the Oregon Film Museum in the Clasp County Jail. It’s where the opening scene of the Goonies was filmed! Marvel at the 600-foot tall Astoria Column and its hand-painted designs as you explore the museum. Before hitting the road again, relax and enjoy a handcrafted beer at Buoy Beer Company! Seaside is a charming 1920s-era promenade with boardwalk games. You can park your car on Broadway and walk towards the immense beach that spreads along the town limits. Seaside boasts a spacious beach and many restaurants and bars, which make for a fun happy hour gathering with your friends and loved ones! Ecola State Park is a dream-come-true for hikers. The park is part of the Oregon Coast Trail, which is one of numerous Lewis and Clark National Historic Trails. Within its borders is the Clatsop Loop, a route used by an expedition party from Lewis and Clark’s Corps of Discovery that was led by Captain William Clark in 1806. Enjoy a hike to Ecola Point and Indian Beach, two of the park’s landmarks, and even have a picnic by the ocean! Tillamook Rock Lighthouse, also known as the Cannon Beach lighthouse, is an impressive monument you need to see. Both nature lovers and history buffs will enjoy the view of this majestic rock in the middle of the ocean. Built in 1881, it still makes visitor’s imagination go wild when they see the top of the lighthouse in the distance and the fierce Pacific waves crash onto the black rock. Note that the lighthouse itself is not open to the public. One great outdoor activity along the coast is to explore the sea caves at Hug Point! This spot is only a few miles south of Cannon Beach, just a half mile from our Inn. At low tide, you’ll discover some beautiful sea caves worth exploring, as well as a small waterfall that gets bigger throughout the rainy season. You can also spot the wheel ruts from the original stagecoach road dug into the rocks of the cliffside. Be on the lookout for tide pools! They’re full of sea anemones, starfish, and an array of other small sea creatures worthy of your time. After a restful few days at Arch Cape Inn, feel free to continue exploring the remainder of Oregon’s coast to the south! Some of our favorite coastal gems include the Tillamook Cheese factory, Cape Meares Lighthouse, the Cascade Head Preserve, the Oregon Coast Aquarium, the Heceta Head Lighthouse, Sea Lion Caves, the Oregon Dunes National Recreation Area, and more! 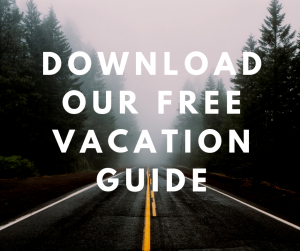 Remember to download our free Vacation Guide to make sure you don’t miss any of them. Arch Cape Inn is a gorgeous, French chateau-inspired B&B that offers an authentic Oregon Coast experience. If you are looking for a relaxing getaway on the coast, then we’re the perfect pick. There, you can enjoy a variety of modern comforts, plus elegant amenities and high-end service. 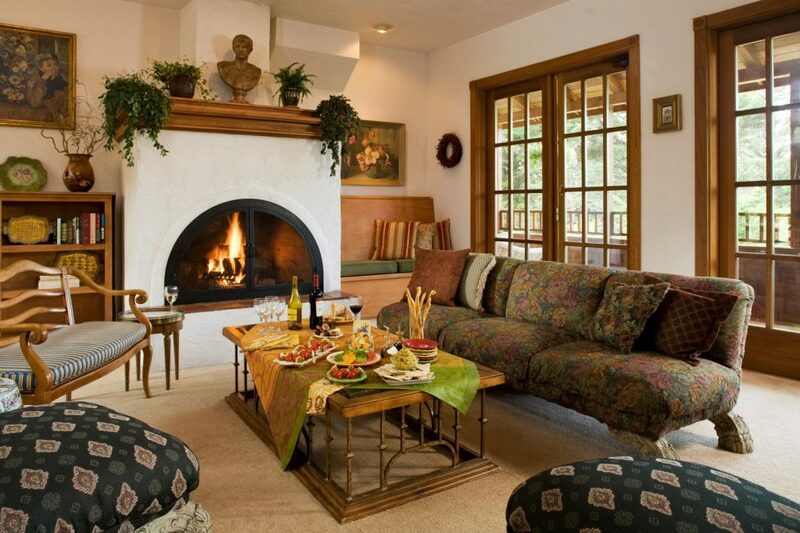 Browse our accommodations today and pick your favorite! Picture yourself nestled by the fireplace with a glass of wine, getting a good night’s sleep in the soft queen bed, and falling asleep to the sound of crashing waves. You’ll wake up the next day feeling as refreshed as ever and with a delicious, homemade breakfast waiting for you downstairs!